I have been there, you have been there too, that current of pain that invades your mouth an teeth after taking a sip of cold water or a hot cup of coffee. Have you ever wondered why that occurs? In case you didn’t know, this condition has a name, and its name is sensitive teeth. It is bad to have sensitive teeth? Well is not that great but it’s not a big deal also, as there are many remedies and solutions available out there in the market that can solve the problem or provide relief to your teeth. So no worries there. What exactly causes sensitive teeth? For starters, you must understand that each one of your tooth contains nerves that are responsible for sensing cold and hotness, and basically they transmit those pain signals to your brain. These nerves that are located in the surface of the tooth are called the dentin. They are this spongy tissue that it’s located below the enamel, which is the hard coating in the exterior of the tooth. 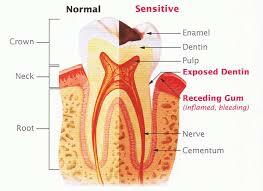 So in case the enamel erodes or breaks, those nerves located in the dentin become badly hypersensitive. The causes for this are very numerous, such as cracks in the tooth’s structure, exposition the root of the tooth, gum diseases like gingivitis, infection or tooth decay. But the worst part is that they can lead to other problems like cavities, dental caries, among many others. 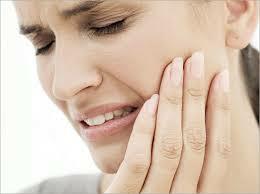 How can I treat my sensitive teeth? In first place, going to see a dentist is the best decision you can make to be in the right course of action to cure your sensitive teeth, so the sooner, the better. And this advices apply even though the symptoms are not so bad, consulting with your dentist will always be a wise decision. This is why it is key to visit your dentist at least twice a year to let him or her examines your teeth and determine which exactly causes sensitive teeth in your case. From all of the dentist in Los Algodones, Dental Solutions are one of the best in treating sensitive teeth. So don’t waste your opportunity to ask your about some professional treatments for sensitive teeth, or if you prefer to do it yourself, there are many products like desensitizing toothpaste, and fluoride treatment but there are crown and inlay, bonding, gum graft and even root canal treatment. All of them available at very low prices at Los Algodones dentists in Mexico, it will save you tons of money. If you have kid, it is important to teach them these tricks so they also avoid suffering complications in the future. Also using a soft bristle to brush your teeth will treat your tooth enamel like a king, protecting it from wearing it down and exposing the dentin. One brushing technique you can also apply is to be very gentle and avoiding to brush hard and aggressive. Don’t forget to floss everyday also to avoid gum diseases! Some patients tend to grind their teeth like some kind of tic or OCD, if that is your case, you have to try and stop it as soon as possible because this kind of conduct is really bad for your teeth. There are many risk associated with this, including sensitive teeth, as grinding your teeth together can wear them down or break them pretty badly, damaging the nerves in the process. And if the problem persists you should pay a visit to your dentist. You can try to cure it yourself but you can deny that dentists are the best professional available to treat any kind of dental situation. They have all the knowledge and experience to solve these kind of problem, so don’t underestimate them. Ultimately, don’t forget to always as him or her about what’s the best treatment to take and what can you do to mitigate sensitive teeth. In short words, thrust their judgment if you want to preserve your teeth healthy and beautiful.